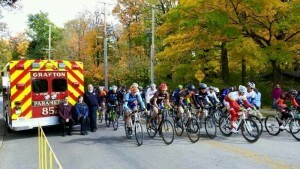 Grafton Ambulance 852 stood by at the starting line of the Pumpkin Cross Bike Race at Grafton’s Lime Kiln Park. 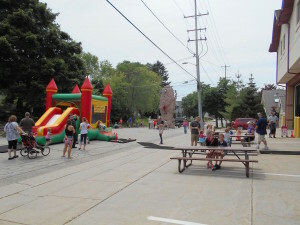 On October 4th, 2015 from 11am to 1pm, the Grafton Fire Department held its annual open house. 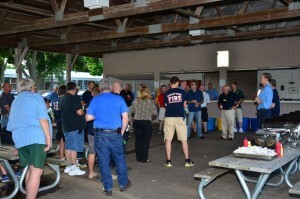 On Tuesday night the Grafton Lions Club held their Annual Appreciation Picnic for the Grafton Fire Department. 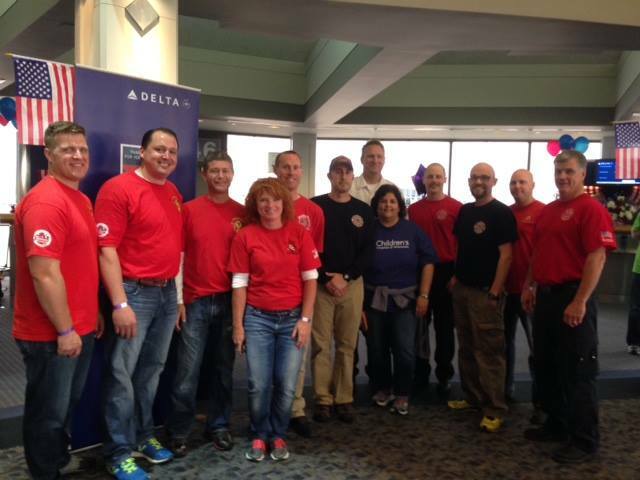 The Firefighters, EMTs and Paramedics would like to thank the Lions for their support of our organization. 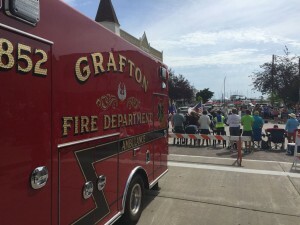 On Saturday, Grafton Fire Department sent a crew with Ambulance 852 to stand by for the Port Washington Fish Day Parade. 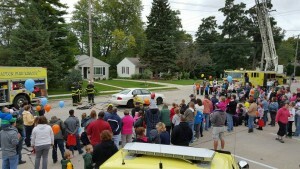 We also sent Engine 865 to take part in the Parade. 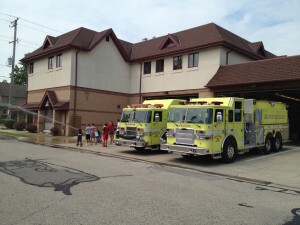 On the morning of June 29, 2015, the Grafton Fire Department welcomed the kids from Safety Town to tour our fire station and learn about fire safety. 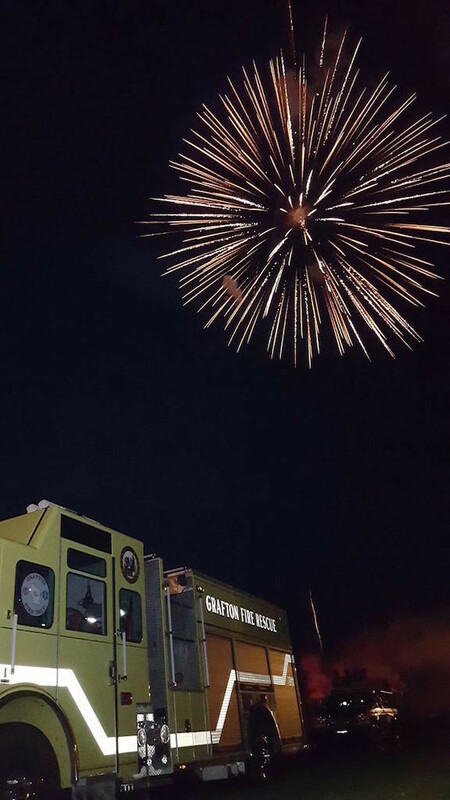 The weekend featured Grillin’ in Grafton and GFD units attended both the parade and fireworks. 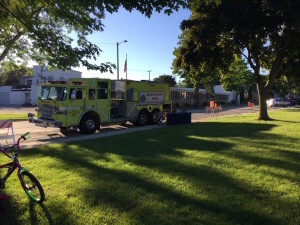 On Friday Night, Members of the Grafton Fire Department attended an Outdoor Movie at Veterans Park presented by the Parks Department. 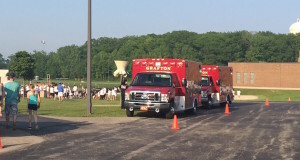 On June 9th, 2015, Members of the Grafton Fire Department stood-by for a community run/walk at the Grafton High School. GFD staffed Ambulance 851 and Ambulance 852 for approximately 2 hours while the event occurred.